Monster Book for Girls, edited by Terry Grimwood, is an anthology of short stories and poetry by 28 different authors. I read a blog by Neil Gaiman recently, saying that every story had a gender, and with this anthology I can now understand what he meant. Each story, or poem, has a decidedly feminine feel, even when the main character isn’t a woman. Many of the stories feel light-hearted, but with an underlying menace. A lot are very funny and some are heart-breakingly sad. There is a variety of settings too, with stories emerging from all over the world. The anthology opens with Young Ladies, Beware! by Allen Ashley, a clever story with a good voice which sets the tone nicely for what’s to come. Dancing the Skies by Ian Sales with its clear description and unusual setting was very well written and one of my top stories. If anybody is considering plastic surgery, then Botched by Lorraine Slater will put you off for life. A gruesomely brilliant story, which could very well be true. Monster Girl by Andrew Hook was creative and intriguing. Another top story. David Rix’s Spiral, the final tale in the anthology, is atmospheric and haunting. 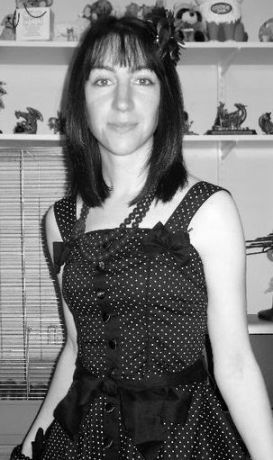 Also worth a mention is the flash fiction story Young Woman, Menaced by Spider by Jamie Rosen. Short and very, very sweet. My favourite story, A Story of Love, by Marc Lyth is told in the first person by the brilliantly messed-up Eric Cooper. Marc has managed to create a story both amusing and creepy. Kat Fullerton’s poetry was witty and fun, and Mighty Spite by Terry Martin had excellent rhyme and rhythm as well as providing a smirk or two. However, the best poetry in the anthology comes from Jessica Lawrence with my favourite being The Ides of December with its lovely classic feel and rhyming scheme. The only downsides to the book is that I would have liked to have seen the author biographies after each story, rather than placed at the back of the book so I didn’t have to keep flicking back. Overall, this is an anthology with plenty to keep everybody entertained. I enjoyed it and would definitely recommend it to everyone. 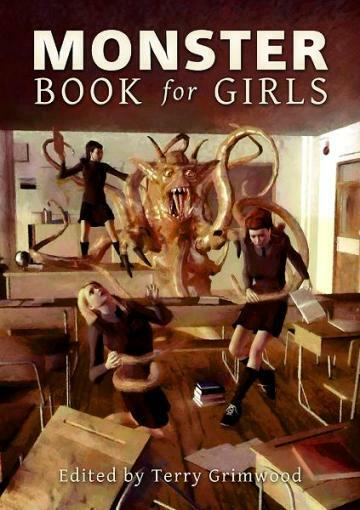 After all, Monster Book for Girls is not just for girls. You can buy Monster Book for Girls HERE. Terry Grimwood both writes and runs his own Exaggerated Press publishing enterprise. 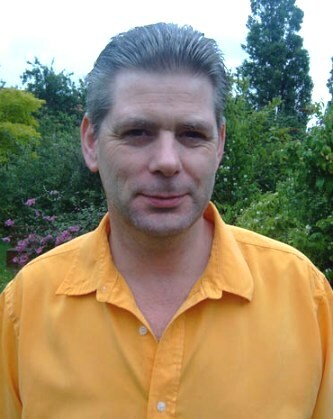 He has been publishd in a large number of magazines including Midnight Street, Bare Bone and, of course, The Horror Zine. His stories have also appeared in anthologies such as Eibonvale Press's Blind Swimmer and, more recently, Where Are We Going? Terry has two novels to his name, The Places Between and Bloody War and a third, Axe is about to appear from Blood Moon. Terry's Exaggerated Press can be found at http://exaggeratedpress.weebly.com/ and his Wordland e-zine, at http://wordlnd.weebly.com/. E.J. Tett was born in Somerset, England. She grew up in a little village and then moved to a town where she still lives, but from which she soon hopes to escape. At the age of seventeen, she started writing the young adult fantasy novel The Kingdom of Malinas, which was then published in 2008. This was to be the start of the Power of Malinas trilogy. The second book, The Empress Graves, published in 2010 and the third and final book, The Barbarians's Key released in 2011.